Works with tree and log paint or ink. 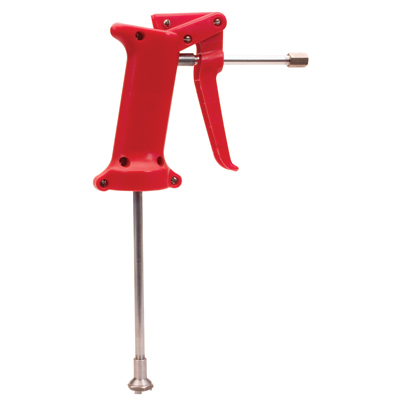 Reinforced trigger for four finger action and no more double or triple squeezes. Paint stream from 8' to 10'. Brass nozzle and .015" mesh screen at the base of the foot valve prevents clogging. Heavy duty gaskets reduce leakage. 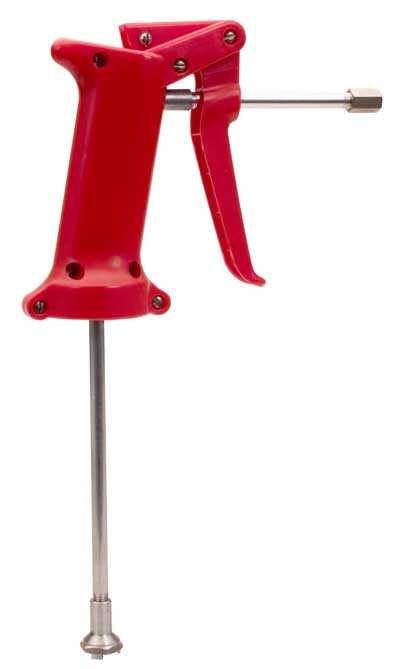 High impact plastic handle. Fits most quart tree and log paint cans. 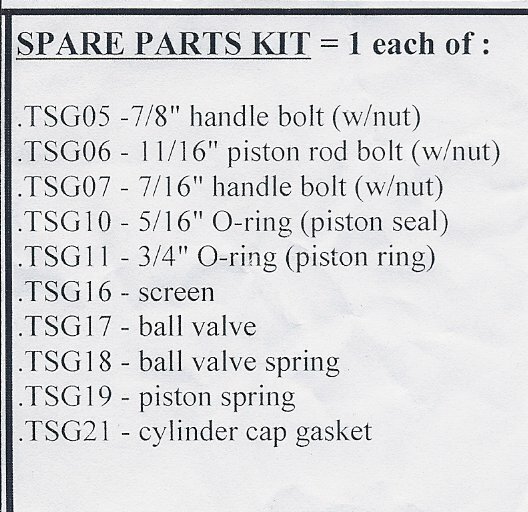 Comes with basic spare parts kit, other replacement parts available.